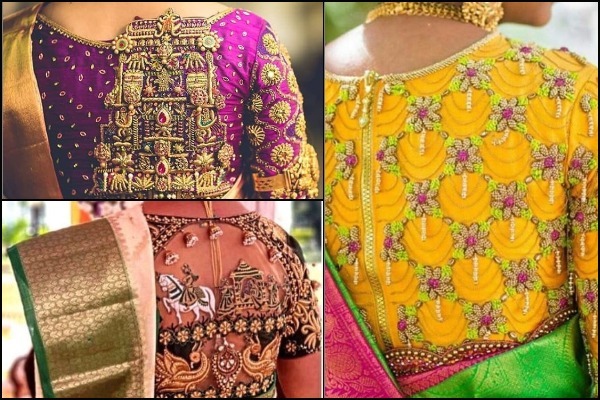 When we say “South Indian Bridal Blouse”, do not take it lightly. 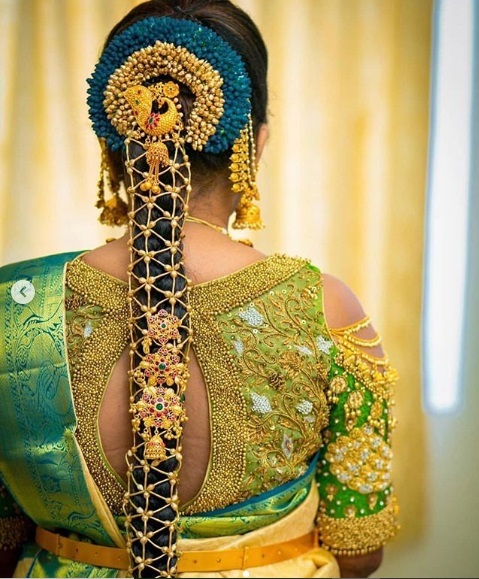 Have you ever attended any South Indian wedding? If yes, you must have definitely drooled over their out of world designer blouses. 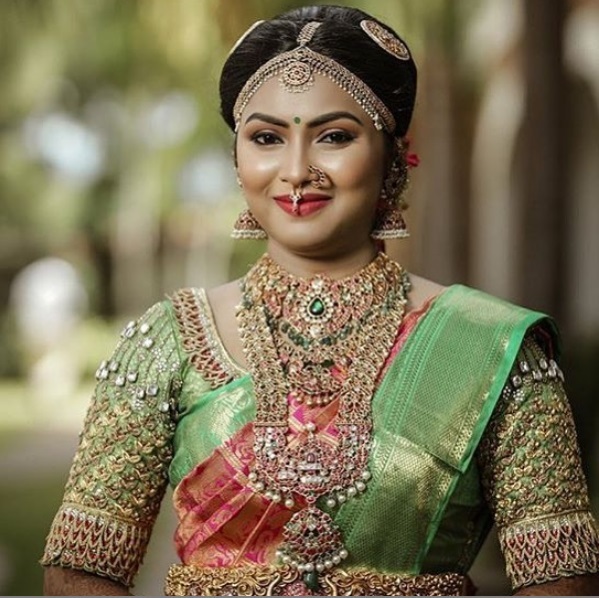 Silk or Kanjeevaram Saree with a contrast designer blouse and beautiful temple jewellery is what a traditional South Indian bride wear on her wedding day. 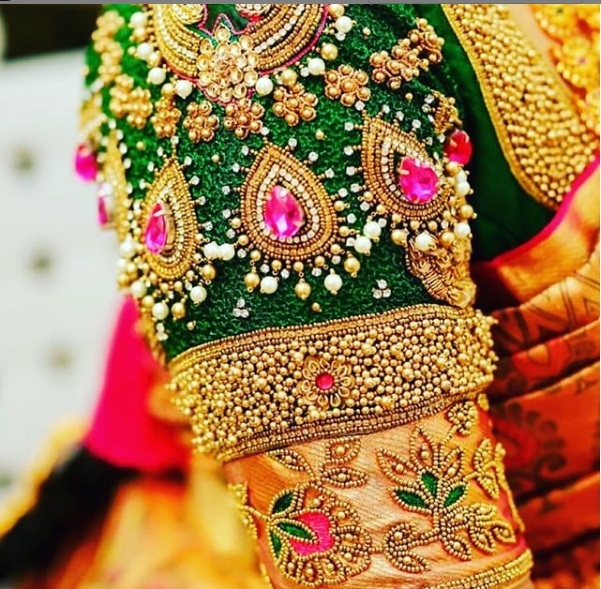 On a serious note, silk and Kanjeevaram Saree or lehenga never goes out of fashion because they are rich in appearance; can cost anywhere between couple of thousands to lakhs. The zari work, stunning contrast color and mind blowing designer blouse designs is what make silk sarees everyone’s favorite. 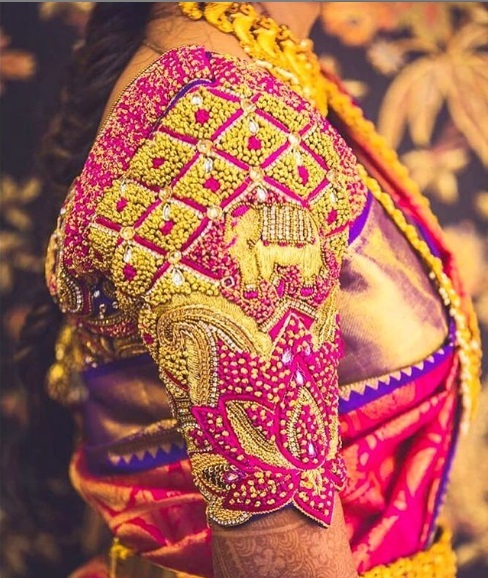 You may not believe it, but your silk and Kanjeevram designer blouses can literally lit your bridal look AF! 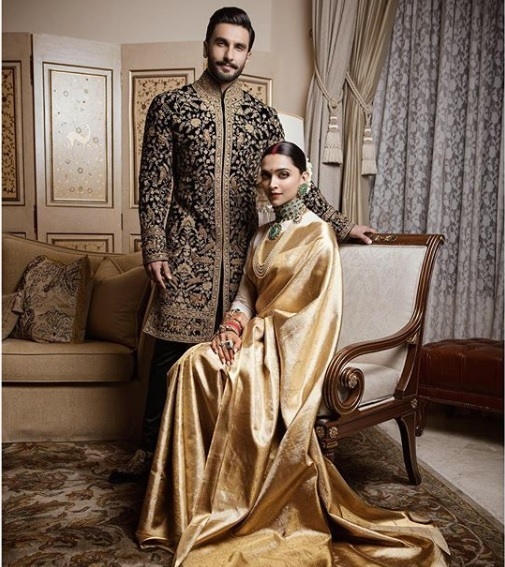 As the world is pretty much globalized and so do we, the sarees have already taken their special place in every women’s wardrobe. These sarees are pretty much everyone’s favorite travelled all the way from South to Maharashtra to North India and to the West. 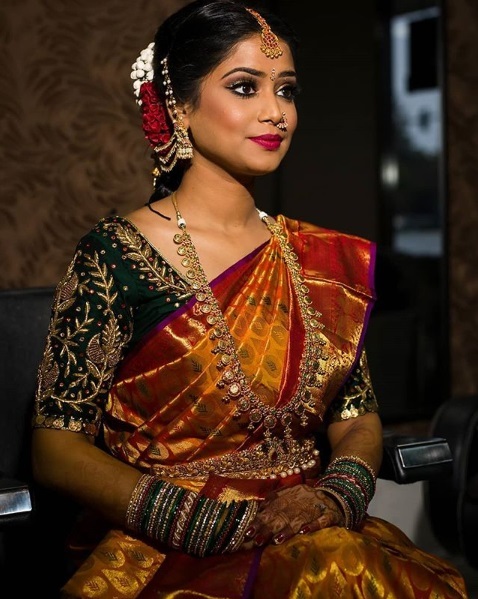 The winter weddings is the perfect time for a bride to include silk saree theme at one of her pre-wedding function, as the warm fabric keeps chilling weather at bay and the wedding gets different taste of culture. Contrast blouse with dash of saree colors infused on it and zip at back is too good to miss. 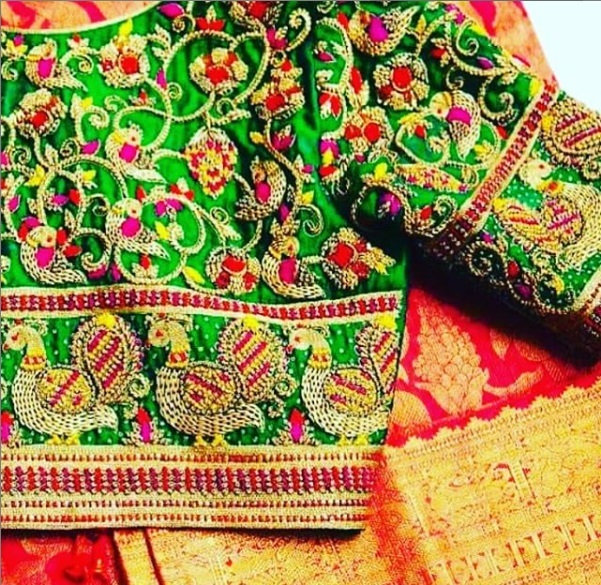 Kanjeeverams are incomplete without peacock motifs and look how brilliantly they finished off the border with matching saree zari. 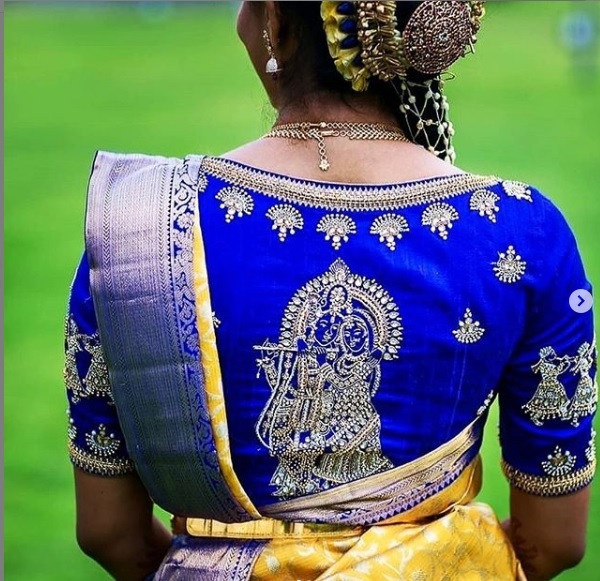 Keep your silk saree simple and let your blouse do all the talking with heavy artwork of stone, zardosi embroidery and golden beads all over the sleeves and the neck border. 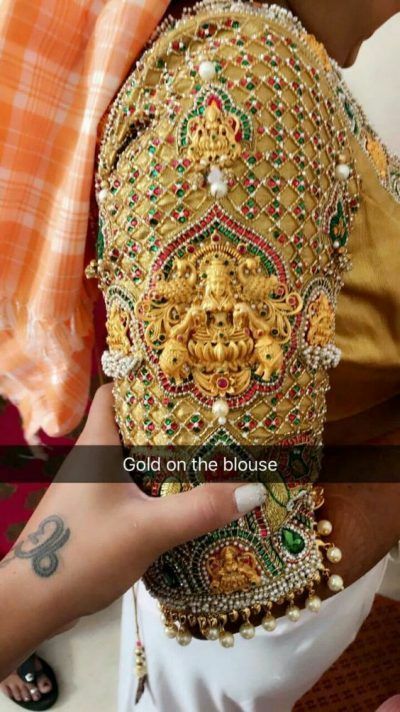 Do you see elephant motif made of diamond studs and embroidery? 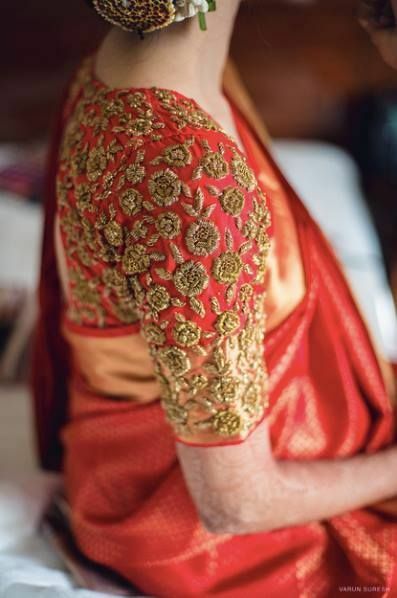 Also we see is heavily embroidered lotus motif with blend of gold beads on the sleeve. 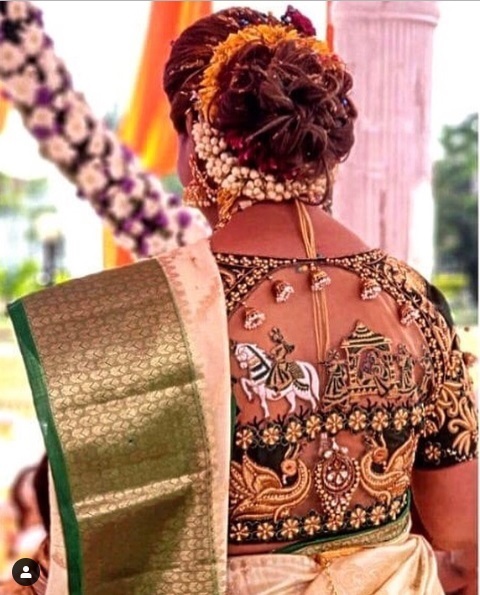 Groom on a horse to bride in palki – Bride-to-be should definitely “pin-it” this image to show her masterji. 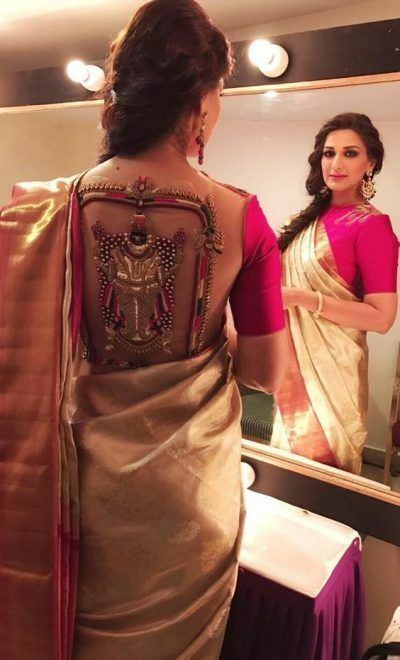 Still in doubt about a silk saree and it’s contrast designer blouses ? 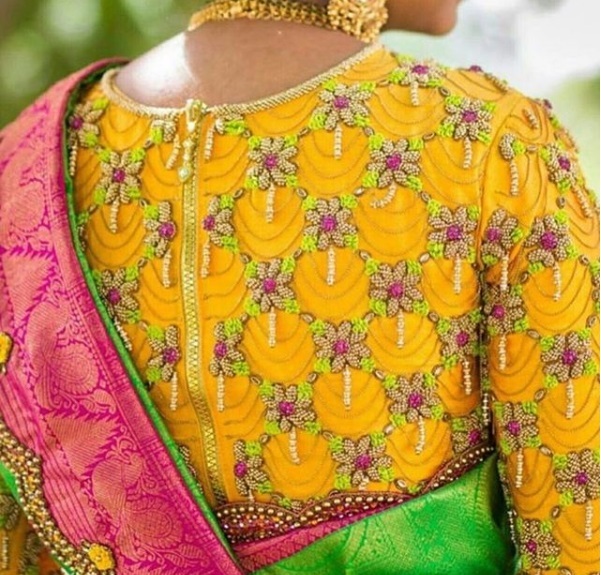 Have a look at this beautiful South Indian Bride. Pistachio shade blouse never looked this beautiful with stones, zardozi and zari. Pin it your favorite blouse designs and follow us on FaceBook and Subscribe Eventznu for all the inspiring ideas and designs. PICS – Alia Bhatt Plays The Perfect Bridesmaid At Her Friend’s Wedding In Jodhpur!